if you're in one of Mr. Forrest's classes! This is the site where you can find information about Mr. Forrest's physics classes including documents and syllabi, helpful links to physics sites such as The Physics Classroom and Direct Measurement Videos, and links to cool videos such as those made by Veritasium and Smarter Every Day! The goal is for the site to help you grow your knowledge of physics! BLIZZARD BAG INFORMATION! Go to your particular course's home page and there will be a button with a link to that day's blizzard bag assignment. Assignments will be posted by 9 AM on the day we miss and will be specific to our work at the time. Expect each assignment to take about 30 minutes. A pretty cool video below showing why you should take PHYSICS!!! Mr. Forrest is also the advisor for Team Physics! Team Physics is a group of junior and senior high school physics students who perform demonstration shows to elementary and middle school students! 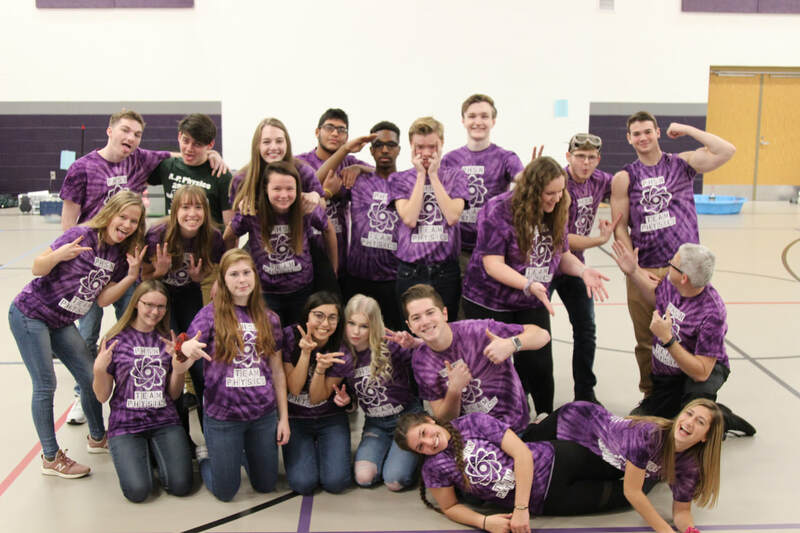 Click on the picture to the left to go to the Pickerington North Team Physics site! Also go there to find an application for Team Physics for the 2018-19 school year. Want to email Mr. Forrest? Use the button below! What did I do this summer? I was an AP Physics reader in Kansas City, took an AP Physics 2 workshop in Florida, and traveled to New England. I also enjoyed getting outside on my bike. But now it's time for school and I'm ready! What's the difference between high school and college? Click the button below for a document that explains those all important differences! Need a letter of recommendation? Download the file below, print it out and give it to Mr. Forrest with your request. In general I need two weeks notice if I haven't written you a letter before. Download or listen to Dr. Eric Mazur's thoughts on physics instruction and why it's better NOT to lecture. ​To the right is a video from the YouTube channel 'Smarter Every Day'. It's great for learning a lot of cool physics stuff! The video to the right is about how to view a solar eclipse!